64 mono inputs into 27 mix busses. Pairs of mono inputs can be linked to create stereo channels. 24 Grp/Aux/Matrix*, plus main LCR Mix and LR Solo busses. * a maximum of 8 matrix outputs can be configured. 1 MIDI Input and 2 MIDI Outputs on rear of control surface. · 4-band fully parametric EQ, shelf mode on HF/LF. · Gate or De-Esser. Gate switchable to ducker. · Insert point for external processing. · Pan – LR or LCR switchable. 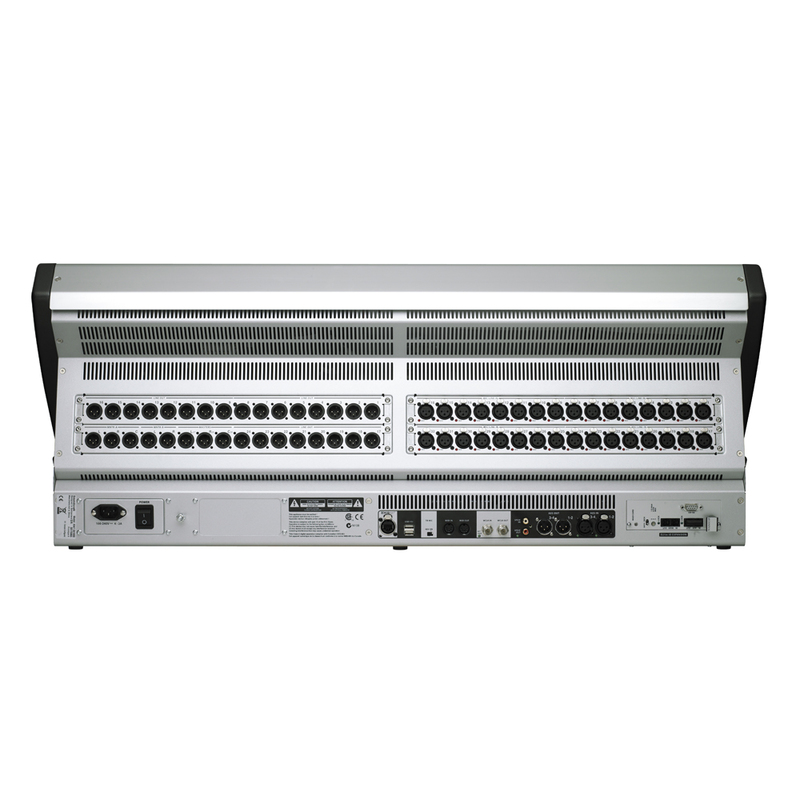 · Direct Output, patchable to any I/O and with selectable tap-off point. · Pan (Output bus to LCR) – LR or LCR switchable. · Bus Feed feature – allows switched routing of one bus to another. Widescreen Vistonics™ channel strip interface x controlling 16 input channels at a time. Fader tray contains motorised faders, Mute, Solo, Isolate and F (user defined) switches, plus one assignable rotary encoder with LED display ring. This encoder is globally assignable to Gain, Pan, Gate Threshold, or one of 2 user-definable parameters. Input level and gain reduction meters are located above each fader. Input faders can be assigned to the 8 VCA (control group) masters and/or 4 Mute Groups. 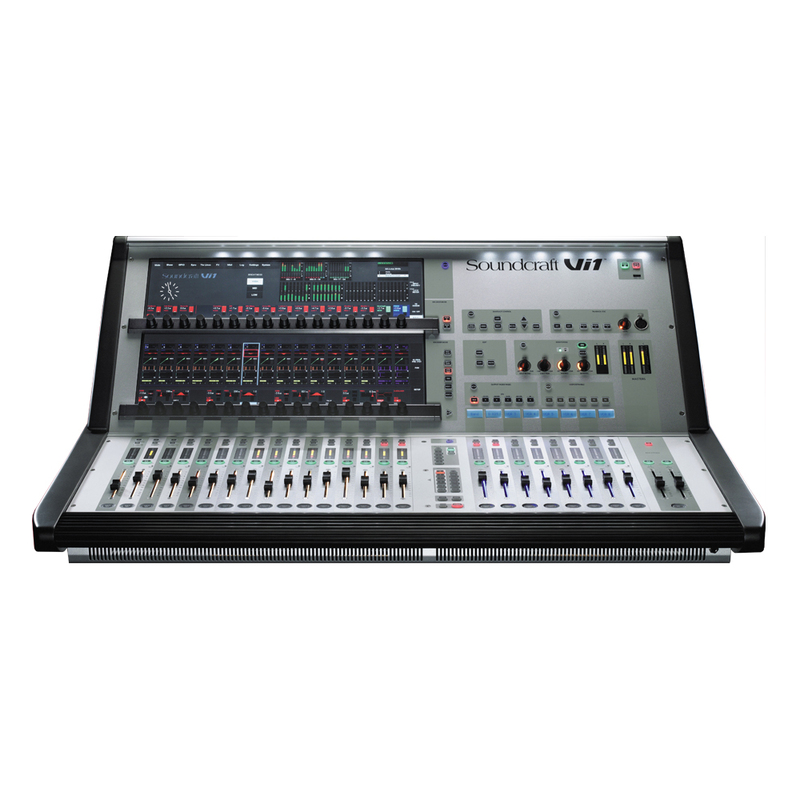 Input faders can be switched to control all 24 Grp/Aux/Matrix Outputs, or can control an individual Aux send mix, using the switchable ‘Follow Solo’ function. 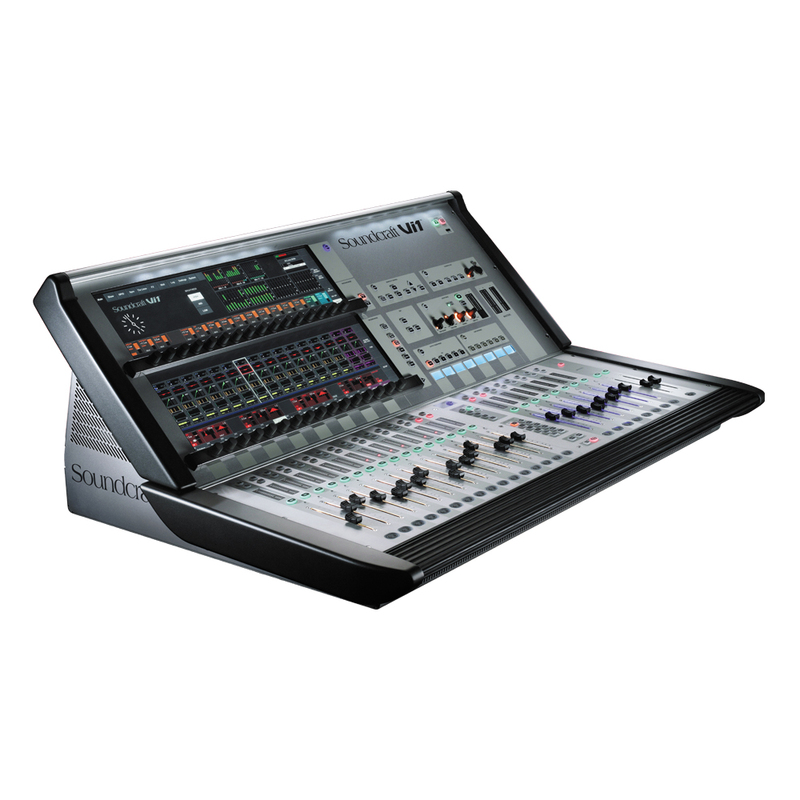 Soundcraft FaderGlow™ clearly indicates using colours when faders are not controlling inputs. 8 assignable Output faders, plus dedicated LR and C Master faders, plus 16 assignable rotary Output faders. Output faders are colour-coded using Soundcraft FaderGlow. Outputs, plus snapshot Cue List and diagnostics info display. Controls for Mute Group and VCA Group assignment. Controls for assignment of Vistonics™ rows to bus sends (when channel parameters are not assigned to Vistonics). Controls for Monitor Output level, phones level and Solo Trim and blend level.